Strong surge in 2Q18 profitability despite volatile market. AUA grew 22.2% y-o-y to S$8.33bn, its eighth consecutive record quarter. Targeting to be a leading wealth management Fintech platform in Asia. Pursuing a virtual banking licence in Hong Kong. iFAST has made significant progress in the last 2-3 years by broadening the range of investment products and services on its platforms, and laying the infrastructure to kick-start its business in China, a market it believes will be key in the future. The group is now a more integrated wealth management platform, with five key product groups – unit trusts, ETFs, bonds, stocks and insurance. iFAST is also pursuing a virtual banking licence in Hong Kong. This would strengthen its position as a key wealth management Fintech player. Despite eighth consecutive quarter of record Assets under Administration (AUA) to S$8.33bn (+22.2% y-o-y) as at 30 June 2018, there is still room for growth as the current AUA level remains small relative to the size of the wealth management industry in Singapore and the other Asian markets it operates in. iFAST’s 2Q18 net profit jumped 41.1% y-o-y and 7% q-o-q, bolstered by the growth in the group’s business and AUA, which benefited from new inflows of investments from customers. Maintain forecast and BUY call, Target Price: S$1.26. No change to our AUA growth assumption of 8% for FY18F and another 5% for FY19F. In FY20F, we expect another 5% growth in AUA. Maintain BUY; Target Price of S$1.26 based on Dividend Discount Model (DDM) valuation methodology, given that it is a cash-led business, supplemented by a relatively high dividend payout ratio of about 60%. Despite volatile global market conditions in 2Q18, iFAST reported a 25.4% y-o-y jump in revenue to S$30.9m while net profit surged 41.1% y-o-y to S$2.88m. On a q-o-q basis, net profit gained 7%. In 1H18, revenue and net profit accounted for 52.5% and 54.3% of our FY18F forecasts, slightly above expectations. The improved revenue and profitability were bolstered by the growth in the group’s business and Asset Under Administration (AUA) for both Business-to-Customer (B2C) and Business-to-Business (B2B) business divisions, which benefited from new inflows of investments from customers in the period. A second interim dividend of 0.75 cents per share was proposed for 2Q2018 (2Q2017: 0.68 cents). The 22.2% growth in AUA is mainly attributable to improvements and progress that the group has made in beefing up its overall capabilities as a wealth management Fintech platform. iFAST’s continuing efforts to widen the range of investment products and services and strengthen the Fintech capabilities of its platforms in the various markets in recent years has borne fruits. 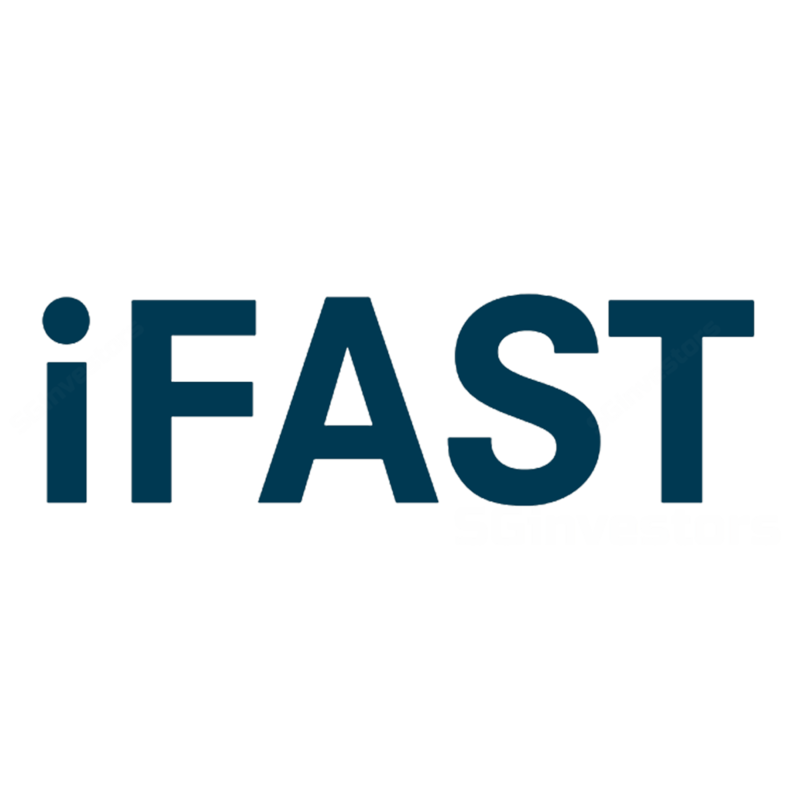 As at end June 2018, iFAST offers 5,500 funds from 230 fund houses, over 1,000 direct bonds, stocks and ETFs (Singapore, Hong Kong and US stockbroking capabilities), as well as discretionary portfolio management services. Key market Singapore accounts for two-third of AUA. The increased range and depth of investment products brought onto the platform led to growth in revenue for Singapore and Hong Kong. In Malaysia, the bond business grew significantly compared to unit trusts. China business still remains in the early building stages. iFAST believes it has the capabilities and licences to tap on the Fintech opportunities in the markets it operates in, including Asia’s major financial centres of Singapore and Hong Kong, and also China and India. iFAST has the requisite licences in the various jurisdictions it operates in to provide a wide range of products and services. In particular, the period of 2015 to 2017 has seen the group strengthening its capabilities. iFAST has recently put in an application for a virtual banking licence in Hong Kong. If approved, iFAST sees the licence as a way to provide more efficient cash management facilities for its customers (including greater transactional convenience and cross-border opportunities, and securities financing). The growth potential of the group will be substantially enhanced going forward. Maintain forecast and BUY call, TP: S$1.26. We maintain our AUA growth assumption of 8% for FY18F and another 5% for FY19. In FY20F, we expect another 5% growth in AUA. The expected growth is on the back of the broadening range and depth of investment products and services.